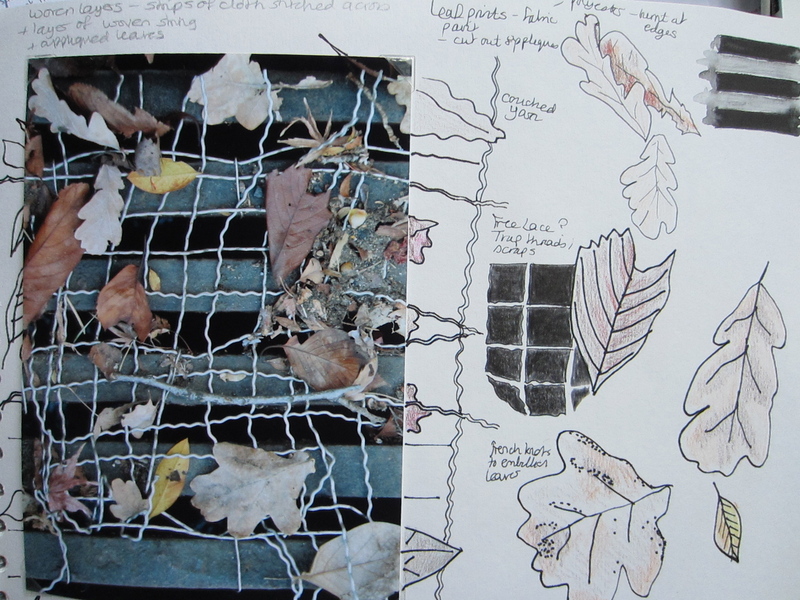 Deciding to further develop my work inspired by the photo of the leaves on the grill, I thought of doing a big piece, using the Mokuba Free lace I have been saving. I wanted to include the mesh over the grille in some way and decided that the scale would be all wrong if I used the Free ace – better saved for another project. 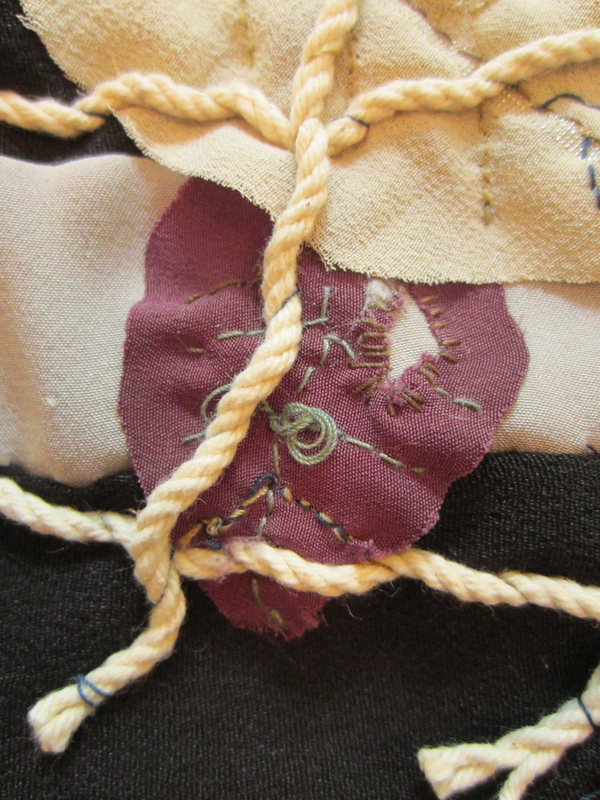 After consideration, I decided a simple appliqued piece could be effective. 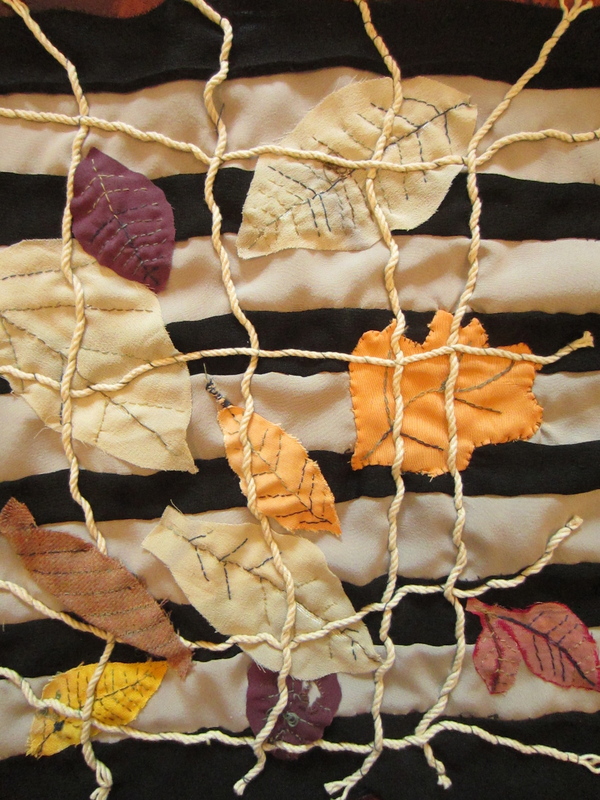 I selected some fabrics from my stash which I felt portrayed the delicate quality of the leaves, against the strong colours of the grille and drain beneath. I decided to use string to represent the mesh. First of all, I pieced together alternate strips of black and grey polyester. 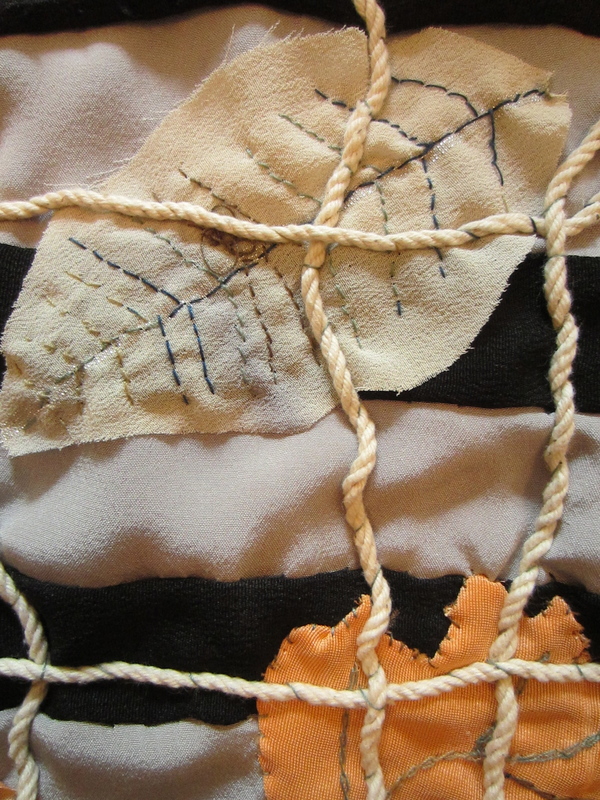 I basted this piece onto a cotton backing to give the sample some substance. 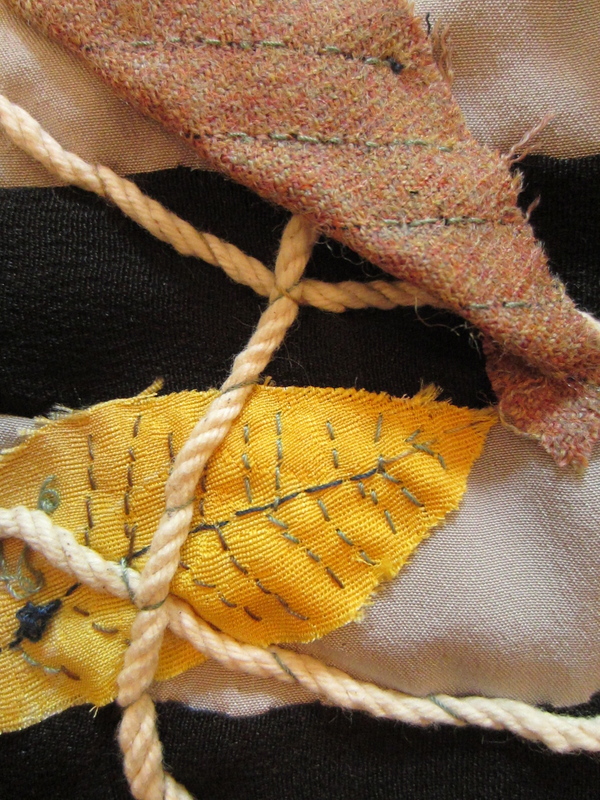 I then cut out some leaf shapes from various fabrics. 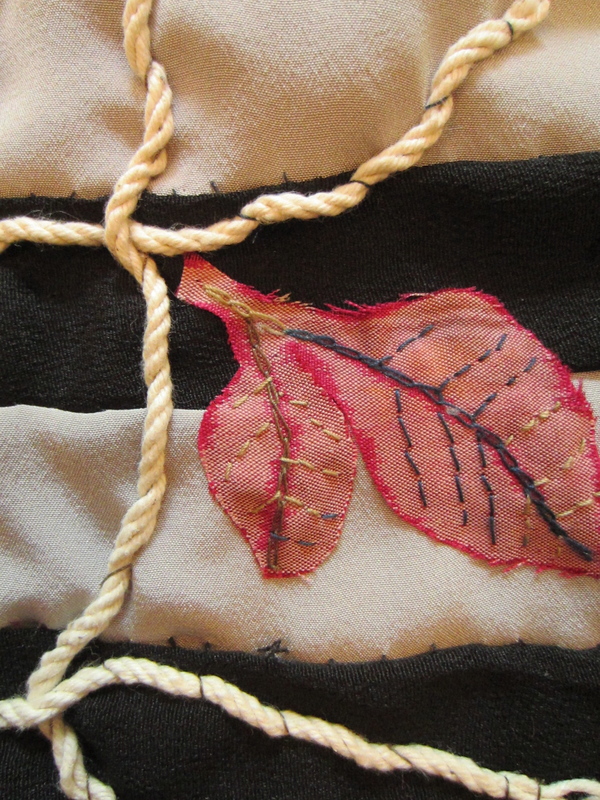 I added some stitching for the veins of the leaves using a mixture of chain stitch and back stitch. 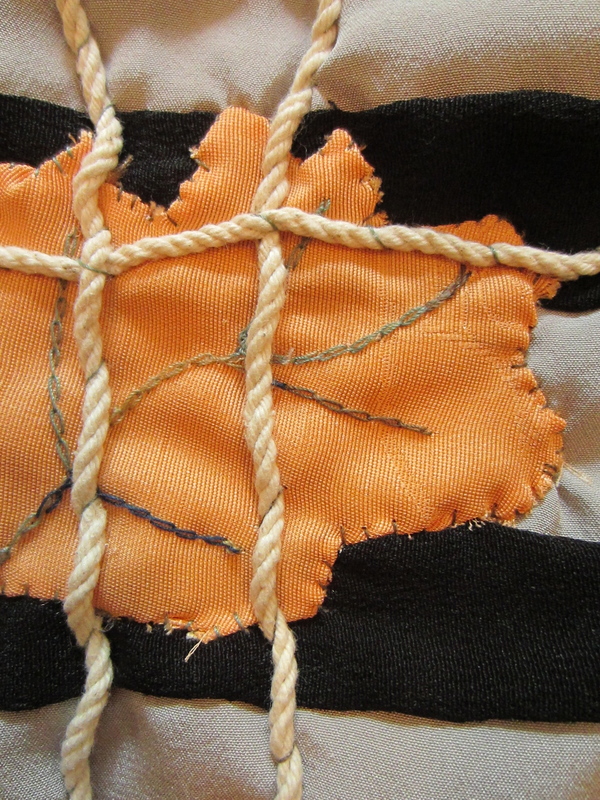 Lastly, I made a woven fretwork of string which I couched onto the piece to represent the mesh, adding a leaf lying on top of the mesh. 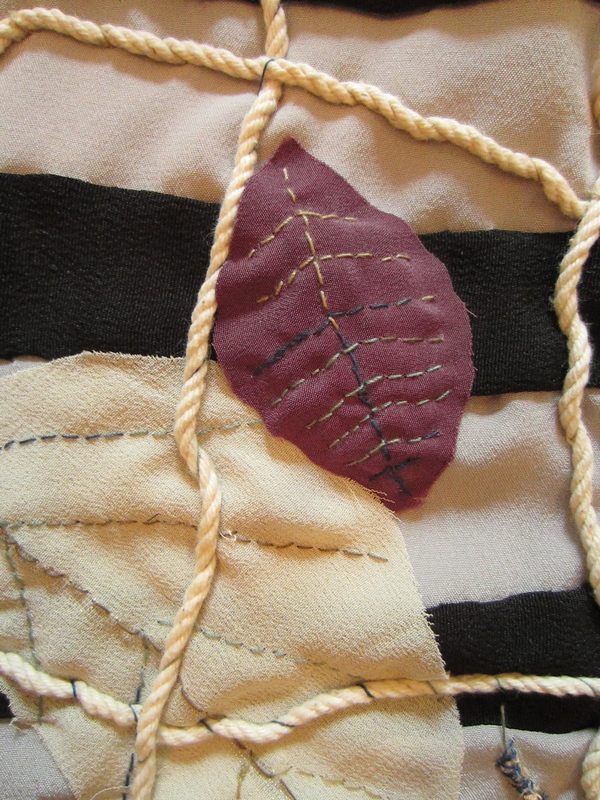 I am really happy with how the piece turned out as I feel it is strong but the leaves show a frailty. The colours worked well too!